Computers are all around us, we have to arm our students with the computer skills they will need to enhance their learning. Students are given free ABCmouse account. This software make them learn their Language Arts, Reading and Math in a fun game-like way. ABCya.com and the Sesamestreet.org websites are supplemental websites to practice their hand and eye coordination through the use of the mouse. 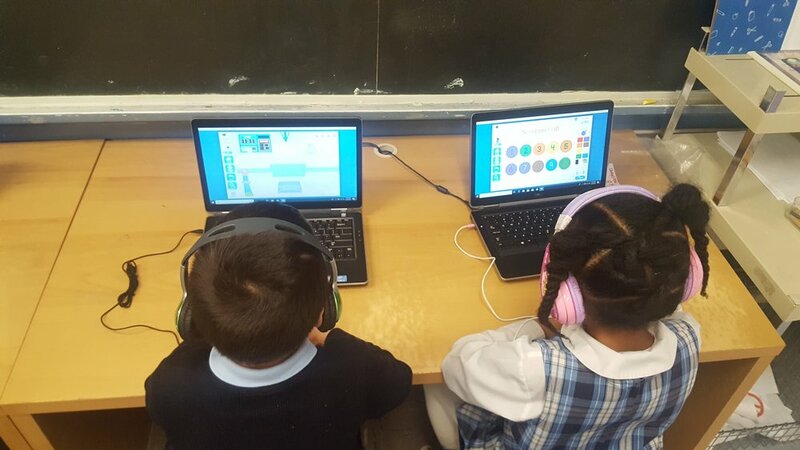 The 1st graders are introduced to the Prodigy Game software, this is a game to help them practice their Math skills in a fun way. Students learn to code through the Code.org software, practice their Math through the Prodigy Game. 4th and 5th Graders area already introduced to the use of Google applications like, Gmail, Google Docs, Google Slide, Google Draw, Google Forms and Google Classroom. 6th Grade to 8th Grade Students use Google applications in our class. We use the Google Classroom to facilitate their learning and to track their assignments and class work. They are introduced to Computer Science concepts for them to have an understanding of the Science behind computers. They learned to code though Code.org. They were introduced to Robotic programming through CoderZ. For the last quarter, they will be learning HTML, the programming language used in creating websites.